If you’re a keen traveler, you know the importance of getting a good meal in your bellies while you’re on the road. However, there are many countries where getting roadside food is unheard of, and you just have to wait until the next service station to pick up a sandwich and a candy bar. But not in America. 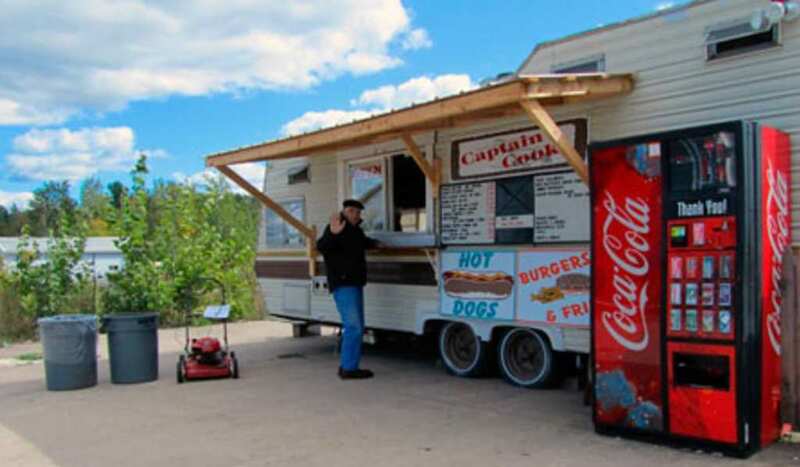 America is filled with some of the best roadside food stalls that will keep you going during your travels. What more could you want? Located in the Catskill Mountains in the very centre of the ‘Borscht Belt’ in Monticello, New York is the famous Captain Cooks. This roadside static caravan has been transformed into one of the best eateries on America’s roads. With their Italian heritage, the owners offer incredible Italian-American food infusions – including their yummy Sabrett Hot Dog heaped with all the trimmings. Grab a quick bite before you get back to your road trip. If you ever find yourself driving down the old Route 66 roadways, keep an eye out for the giant chicken – you can’t really miss it, to be honest! 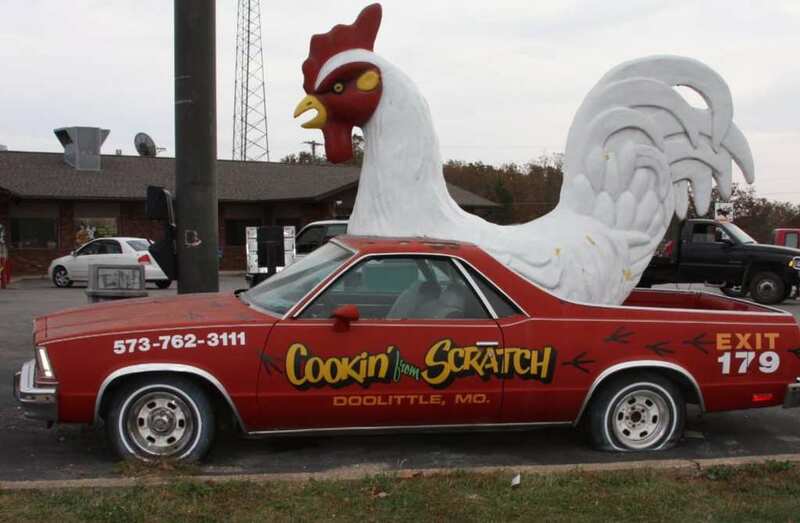 Cookin’ From Scratch is one of the most popular stops for truckers, with many of them wishing they drove this way just to try out their famous chicken. Each of the chicken steaks is pan-fried in individual cast iron skillets that give them an incredible juiciness, taste, and crispy skin without it being overly greasy like many fast food chains. If you’ve still got room after this insane chicken, you just have to try out their wild blackberry cobbler. It’s to die for. 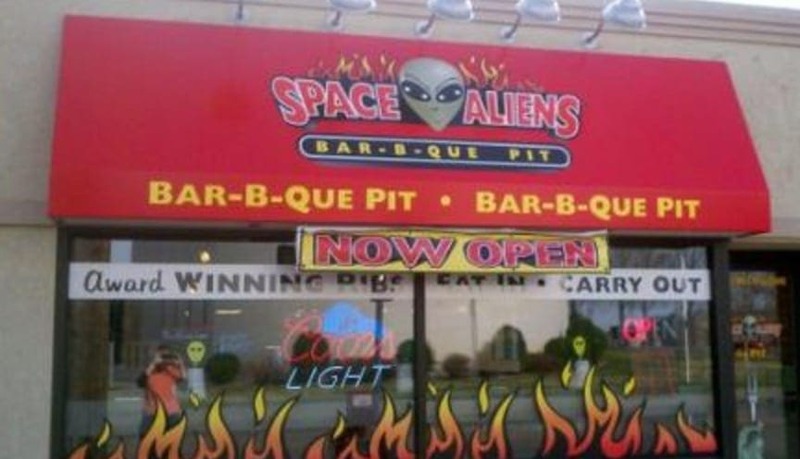 If you want to rest your driving legs and have more of sit down meal, then the Space Aliens Grill and Bar is the ultimate roadside food outlet. Located in Fargo, North Dakota you could see this restaurant from space! With its creepy alien decor, futuristic theme and extra-terrestrial furnishings, it’s definitely a photo opportunity during your road trip. As if this wasn’t enough, the ribs here are incredible, and they’ve even been judged as the best in America. Texas is known for its barbecue – and if you’re driving through Texas it would be rude not to try it out, right? 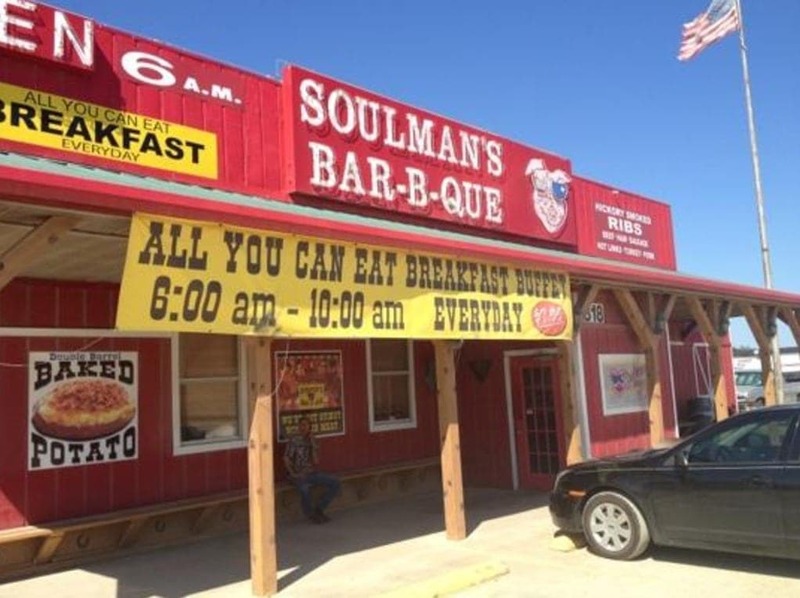 Soulman’s Bar-B-Que offers some of the best roadside barbecue in America, and you definitely won’t regret it. Their meat is cooked slow and low over smoking hickory wood which not only gives it a delicious smoky taste, but it also makes the meat incredibly soft – and it just falls off the bone! Roadtrip + meat = match made in heaven. Sometimes you just really need chicken and waffles. Whether you’re in your hometown, on vacation, or driving across America – chicken and waffles just make everything better. 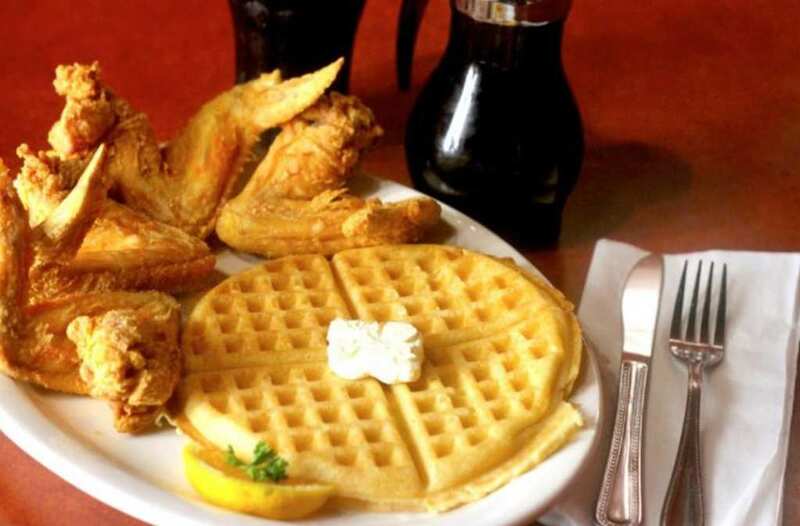 This roadside restaurant offers some of the best home comforts in Georgia, meaning you can settle down and try out some green fried tomatoes, smoked turkey wings, collard greens, braised oxtail, and of course, fried chicken and waffles.